Score a free breakfast topped with the hazelnutty chocolate spread this Thursday. It's the majestical hazelnut spread that makes eating chocolate for breakfast an entirely acceptable concept. Nutella is so fondly-held across the globe that it's prompted its own dedicated festival, a toaster-shaped food truck and an honourary burger from the golden arches. Our mates across the ditch even caused a country-wide shortage of the good stuff a few years ago. Now it's New Zealand's turn to get neck-deep in hazelnutty chocolate as the Nutella breakfast pop-up returns for a string of appearances. For three mornings only, Nutella will hand out free breakfast options to the masses in Christchurch, Wellington and Auckland. To get you pumped, last year's menu items included a banana hazelnut bagel and raspberry coconut Nutella toast. 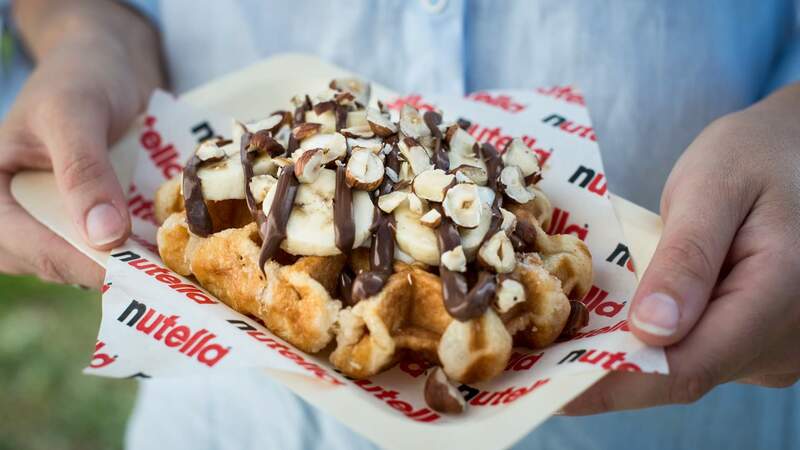 Those in Wellington will find the Nutella pop-up at Wellington Train Station on Thursday 17 May, while Auckland will get the treatment in Aotea Square on Thursday 25 May. Both pop-ups will be operating from 7am – 11am or until stocks last.